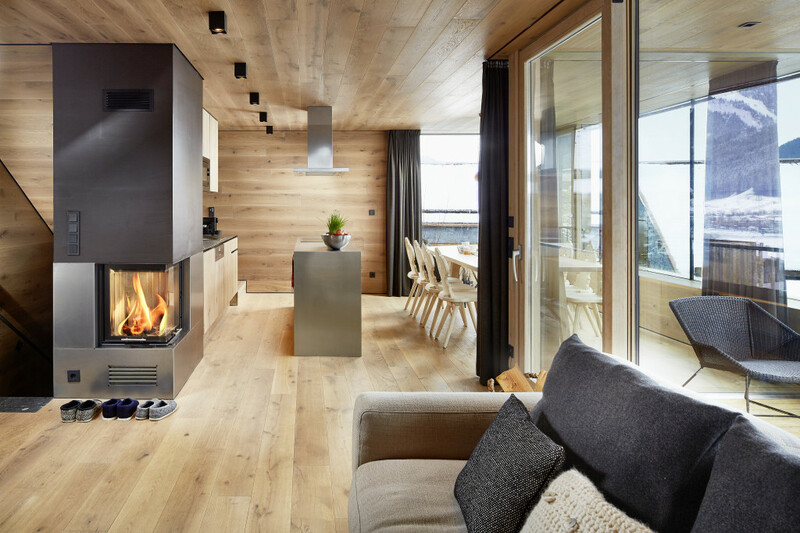 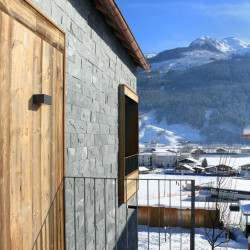 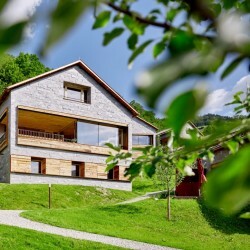 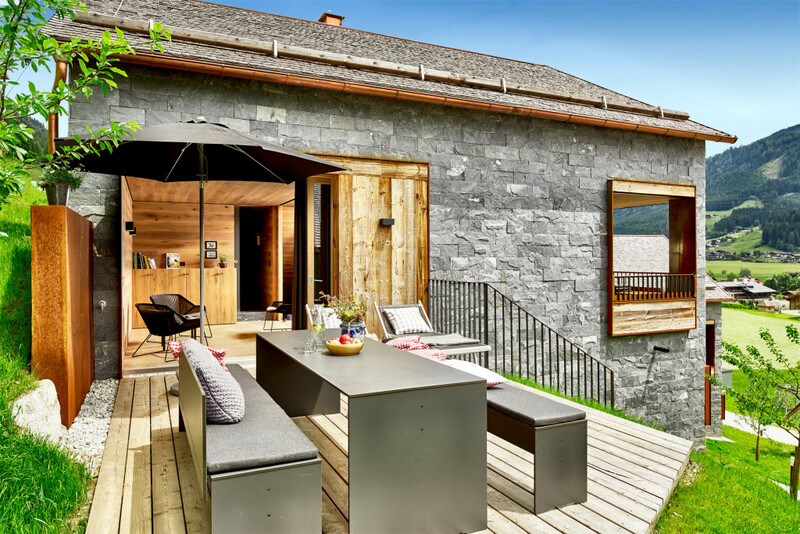 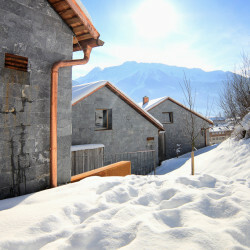 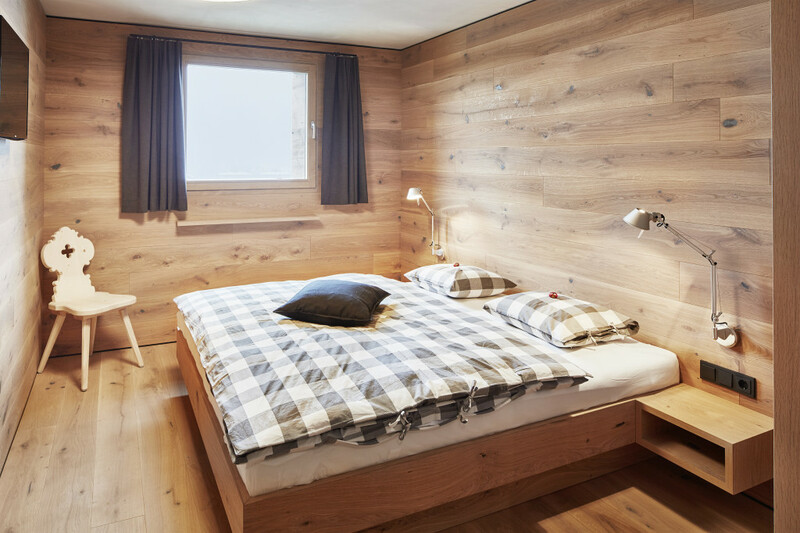 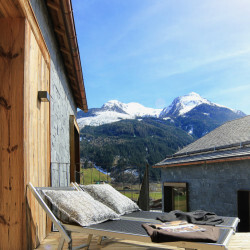 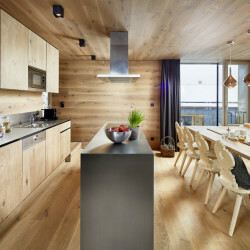 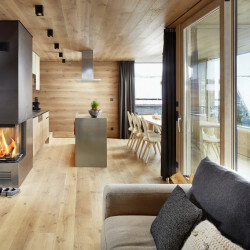 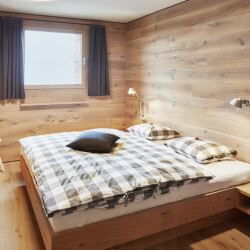 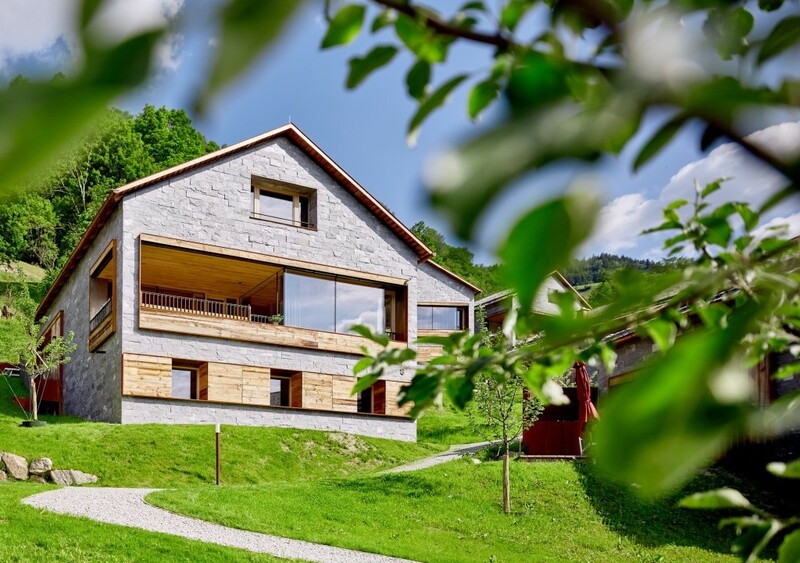 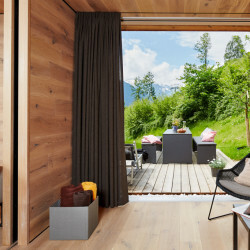 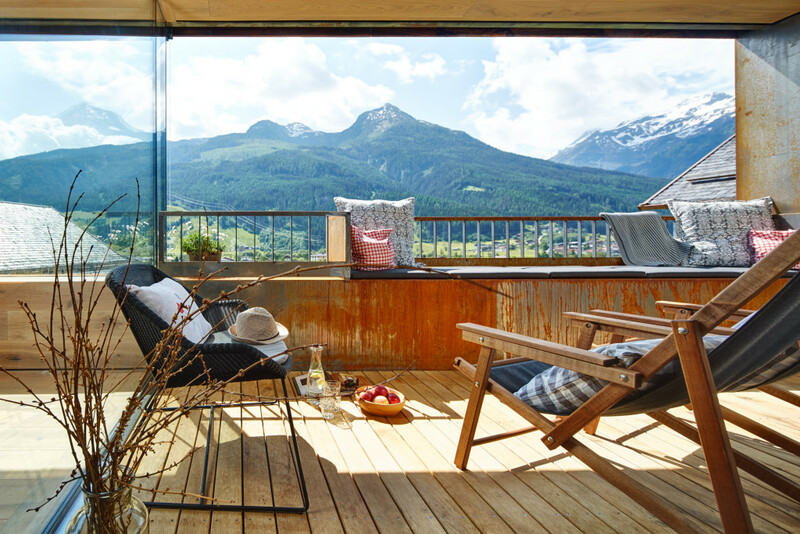 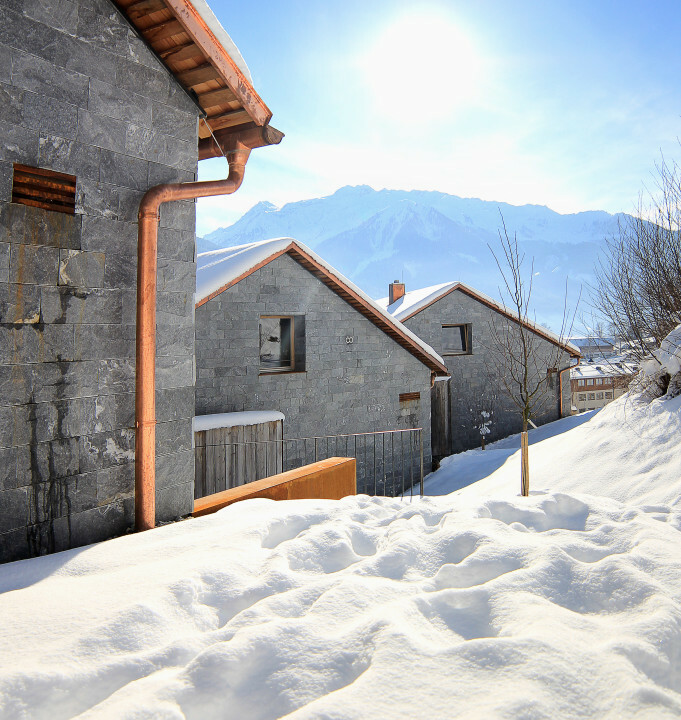 The holiday house “Auf da Leitn 8” is located amidst the High Tauern, the Kitzbühel Alps and right by the ski piste at the Wildkogel ski arena. 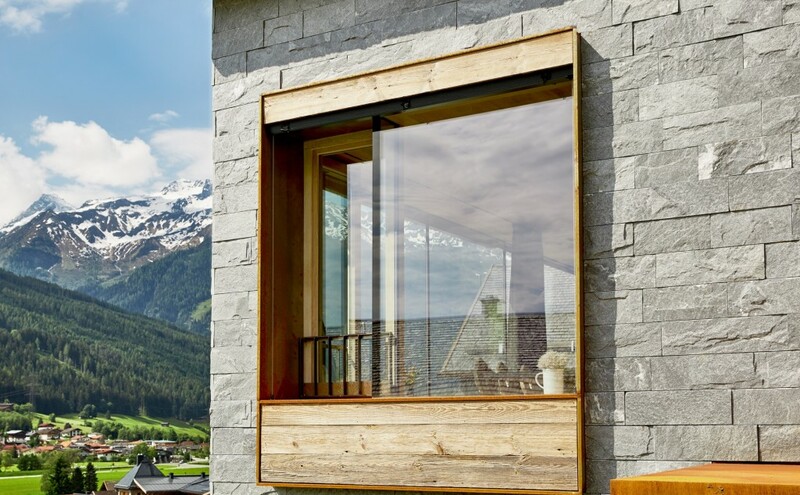 It is in the midst of a car-free hamlet at 819 metres above sea level, on the sunny slope of Senningerfeld. 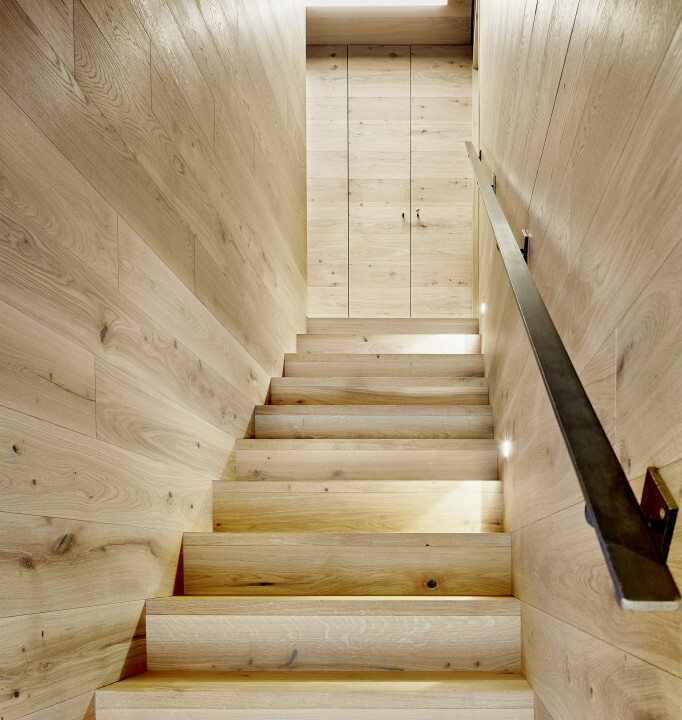 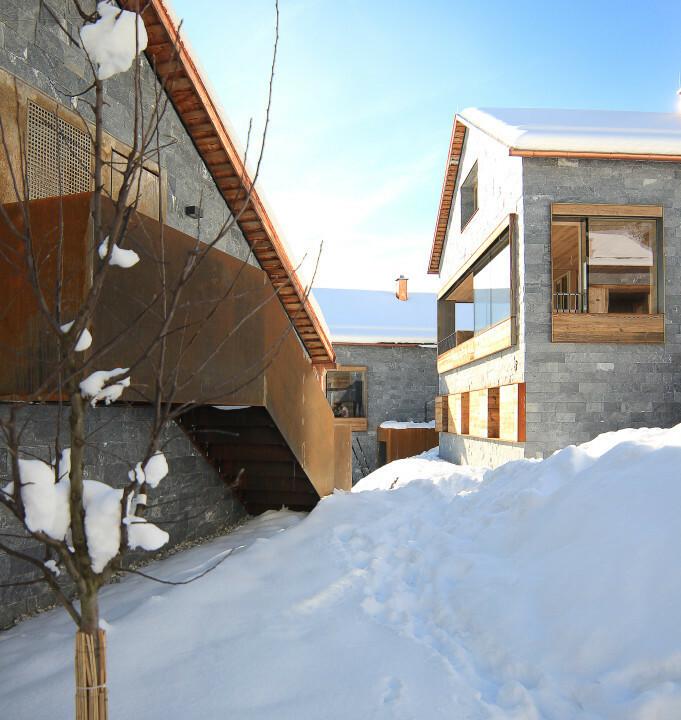 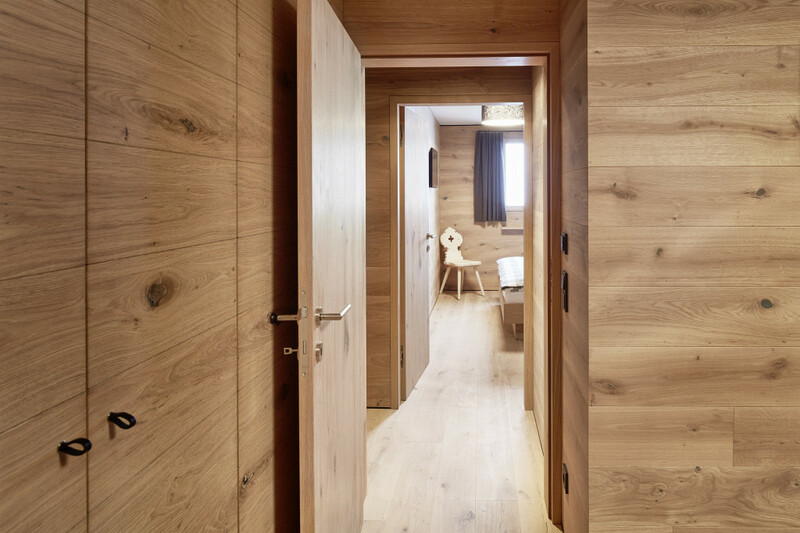 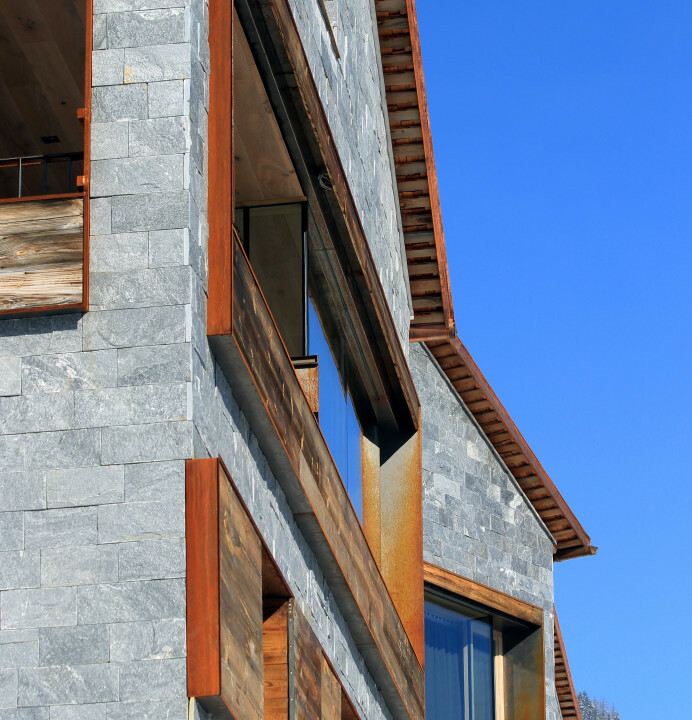 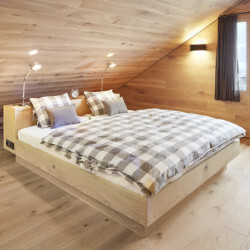 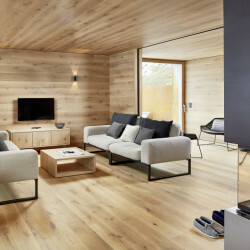 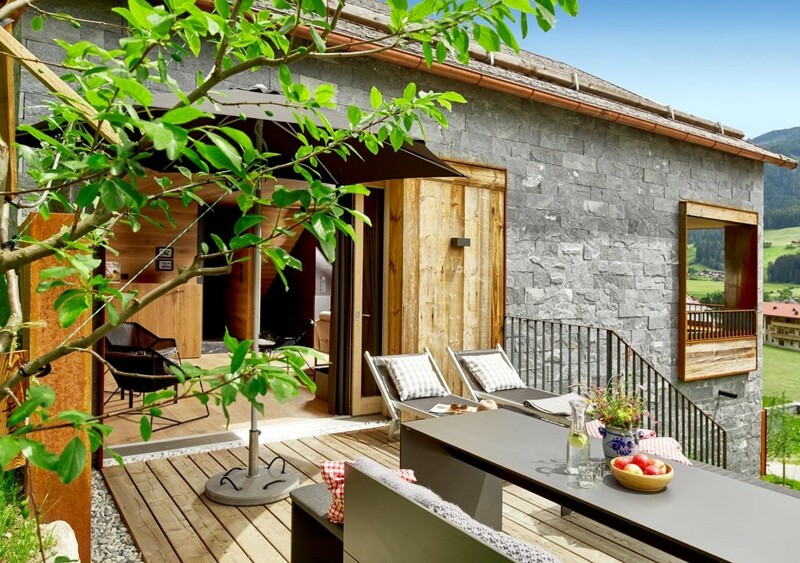 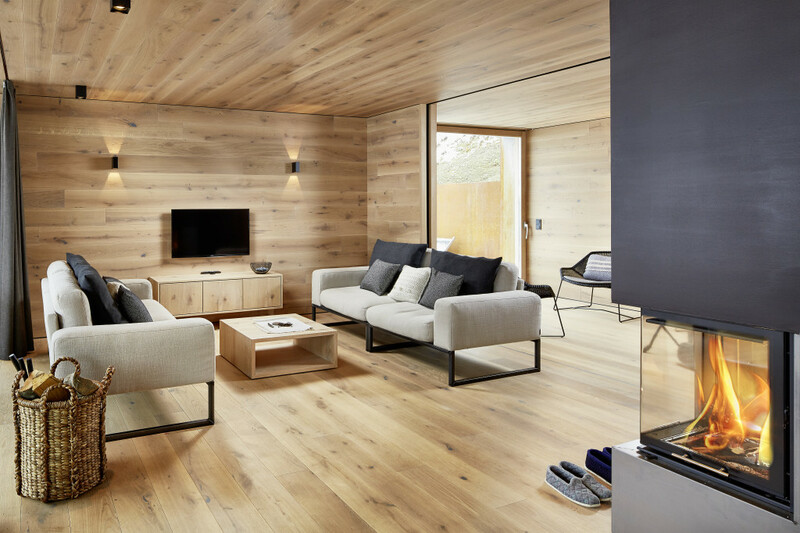 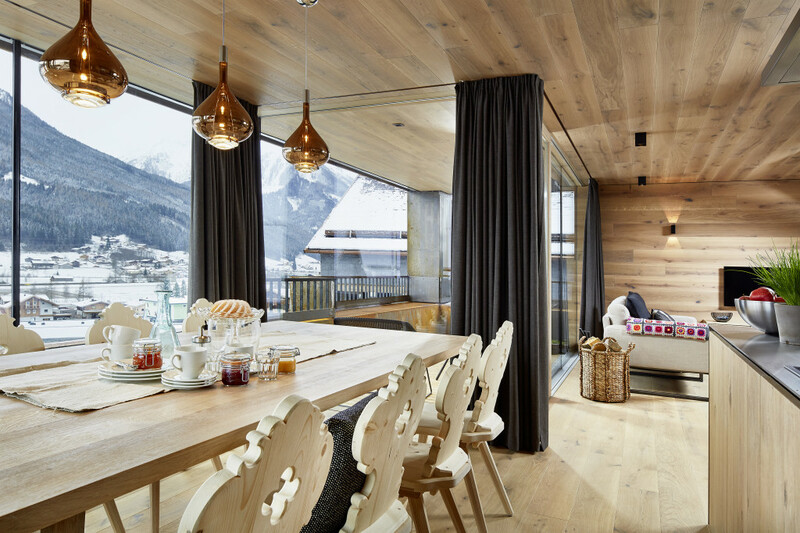 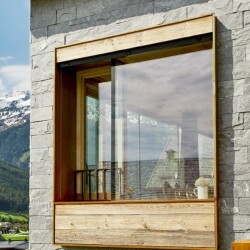 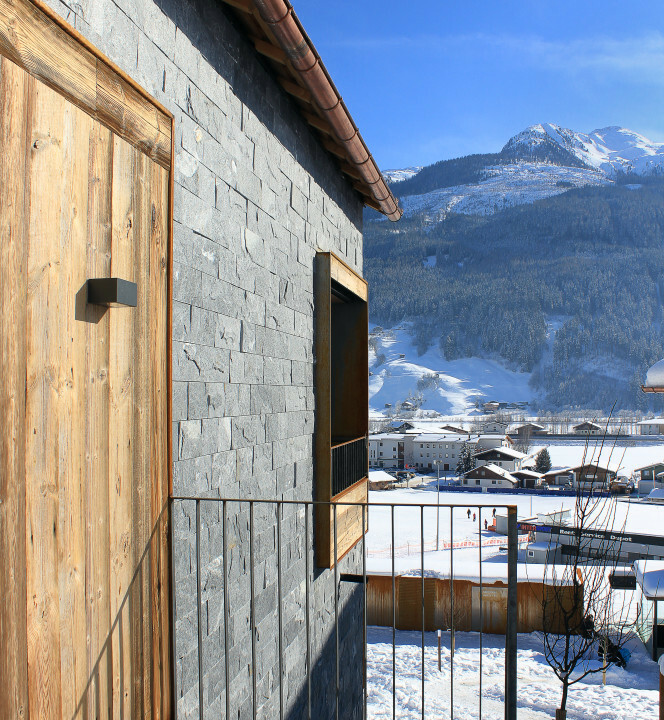 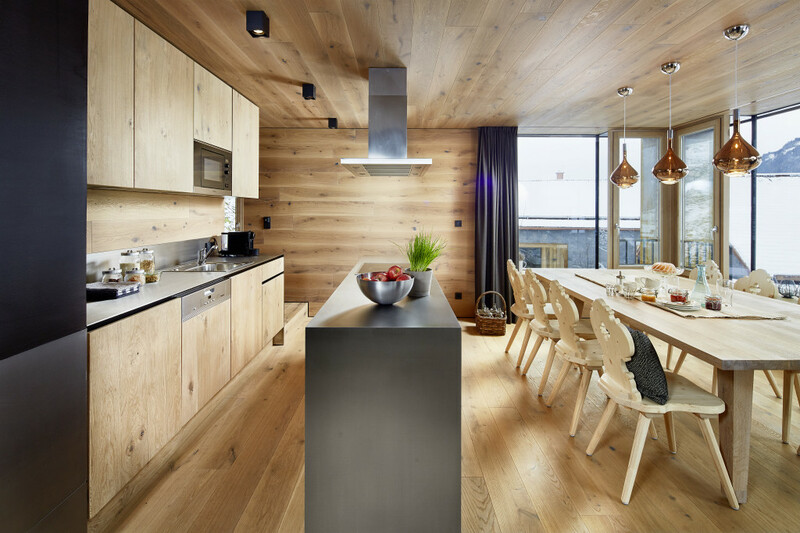 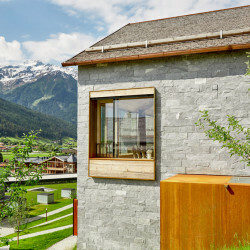 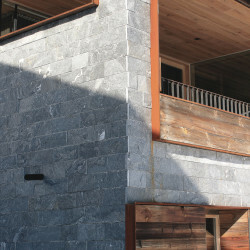 The spirit of the Pinzgau mountain chalet is redefined through a great passion for architecture and authenticity. 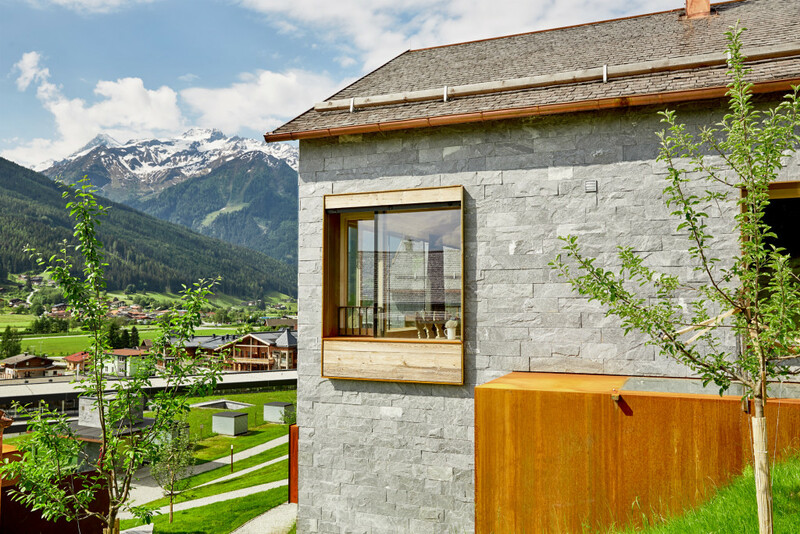 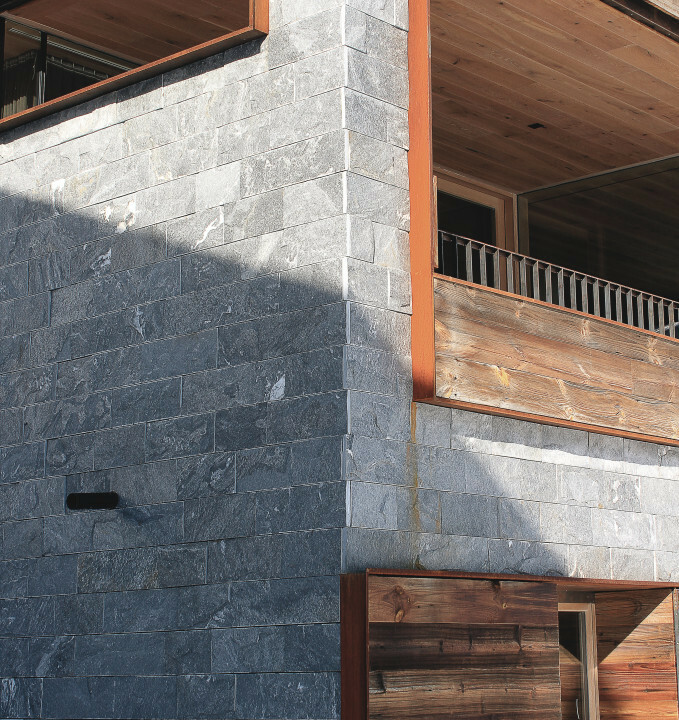 The reduced selection of materials comprising Rauris natural stone, wood and corten steel provides a respite for our stressed eyes. 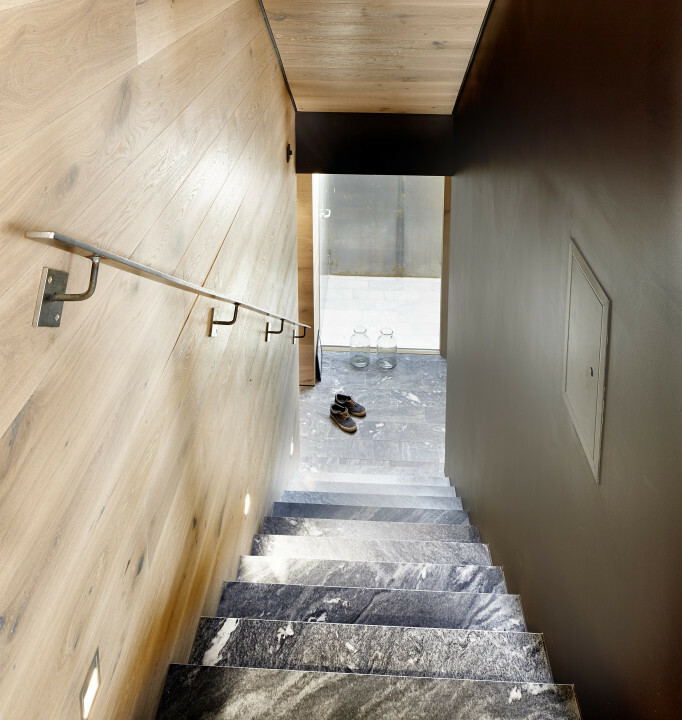 There are no irritations and harmony reigns supreme throughout the house. 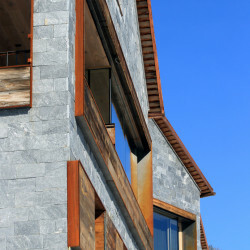 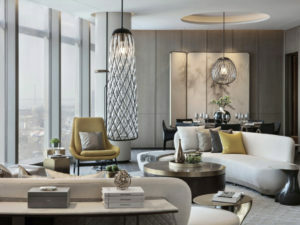 It is a place where perfect craftsmanship meets design, where luxury lies in the many fine details. 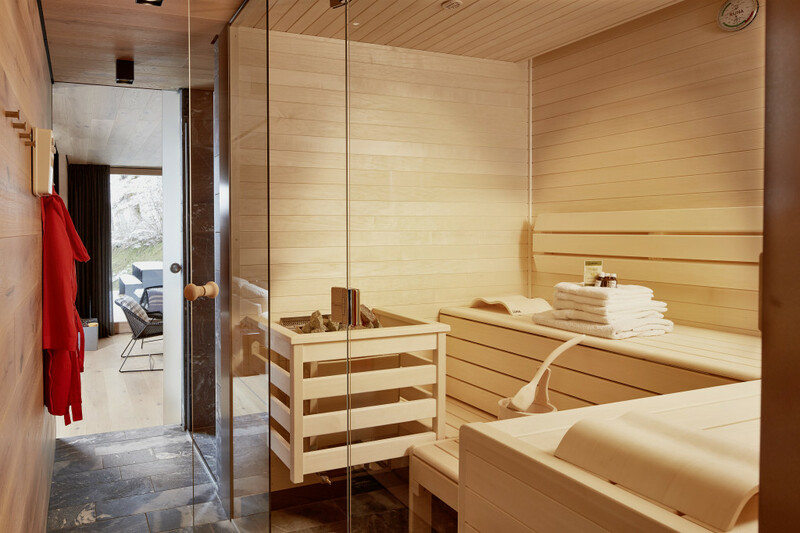 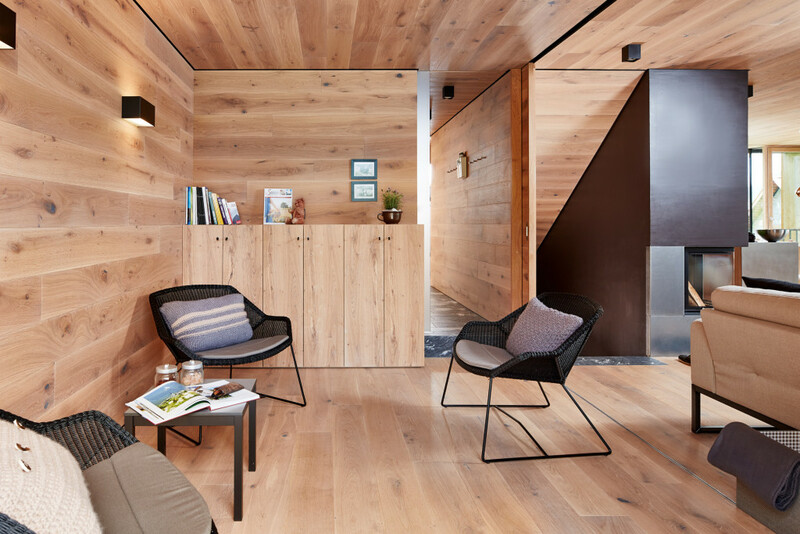 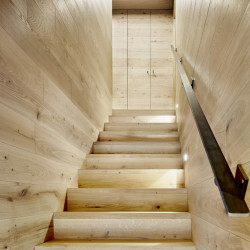 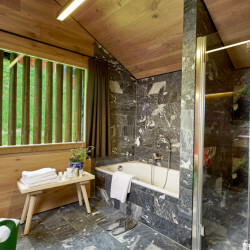 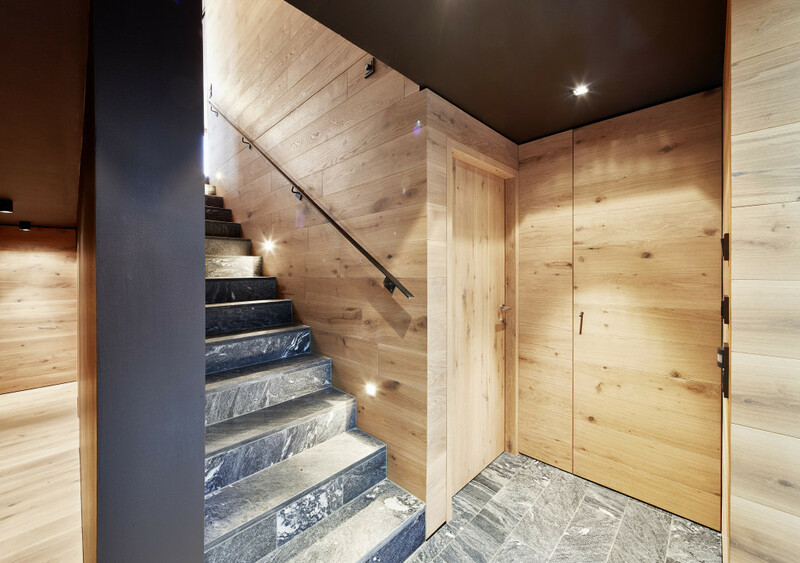 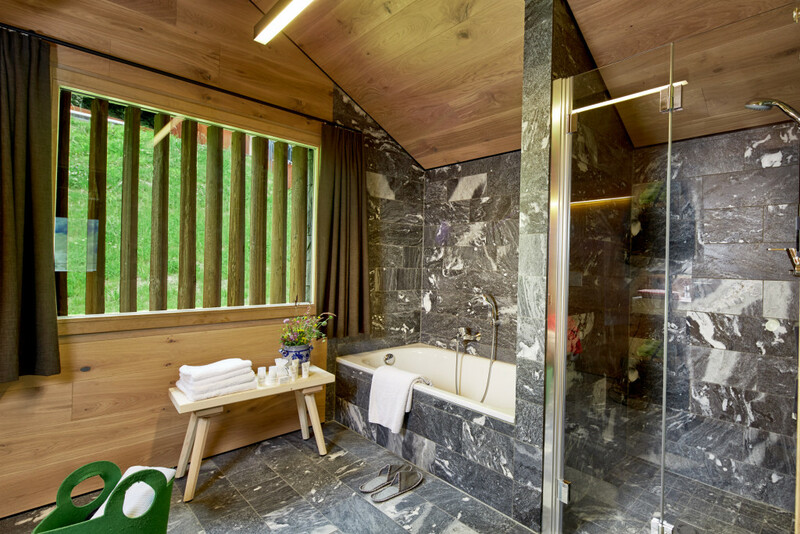 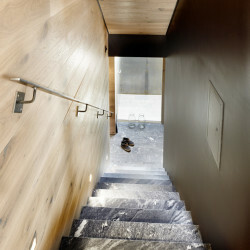 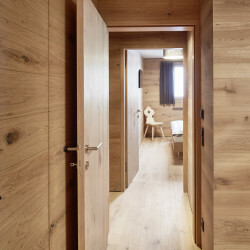 The interior rooms are fully clad with oak wood, but due to the linear design the ambience is not at all rustic, but modern and a far cry from chalet romanticism. 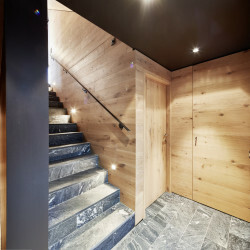 The only flourishes are on the chairs, which were handmade by a carpenter according to old traditional models and give the interior the right infusion of local colouring. 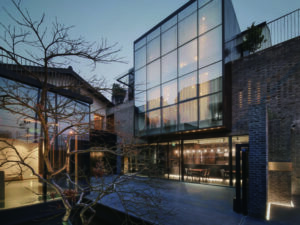 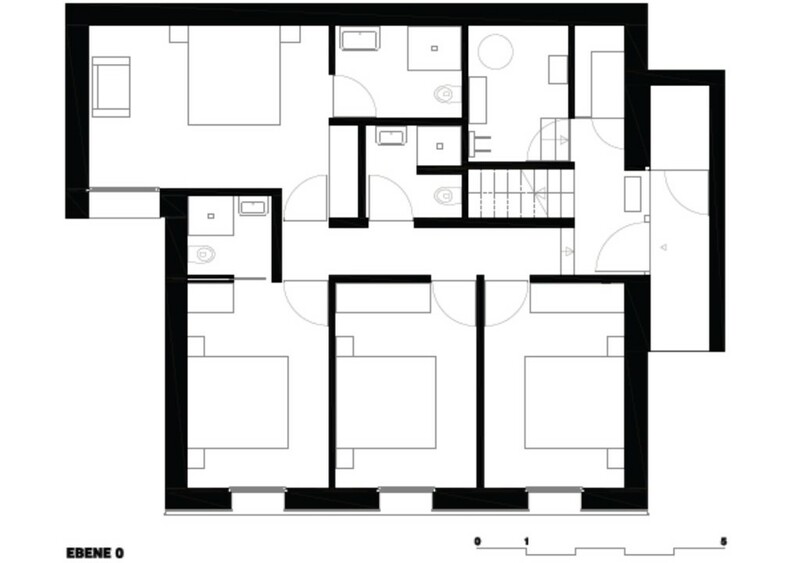 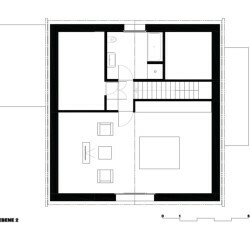 The 230 square metres of living space are spread over three floors. 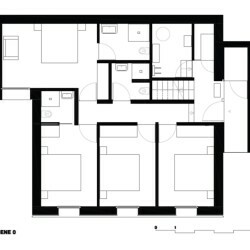 The bedrooms are on the ground floor and on the second floor. 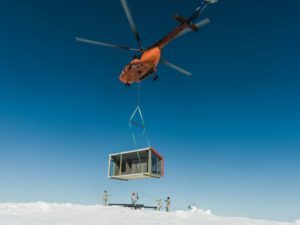 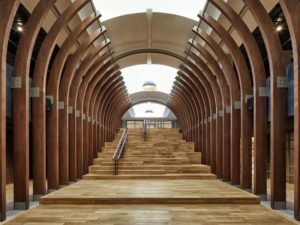 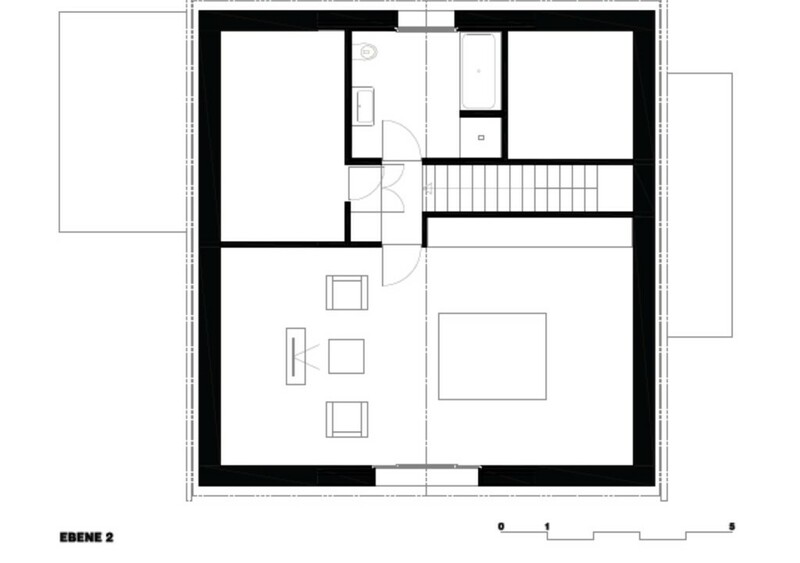 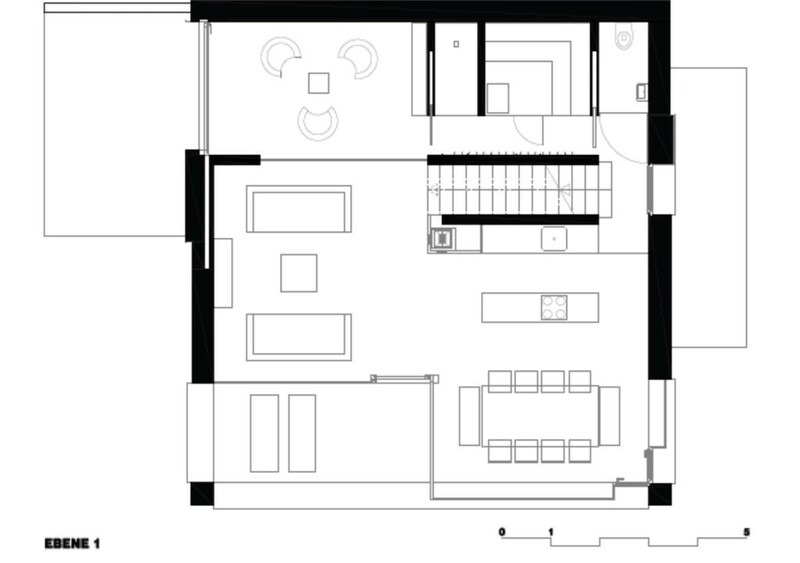 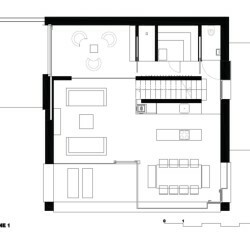 The first floor has a big living room with an open kitchen and a fireplace, as well as a sauna with a relaxation room, which can be separated off by a sliding oak door. 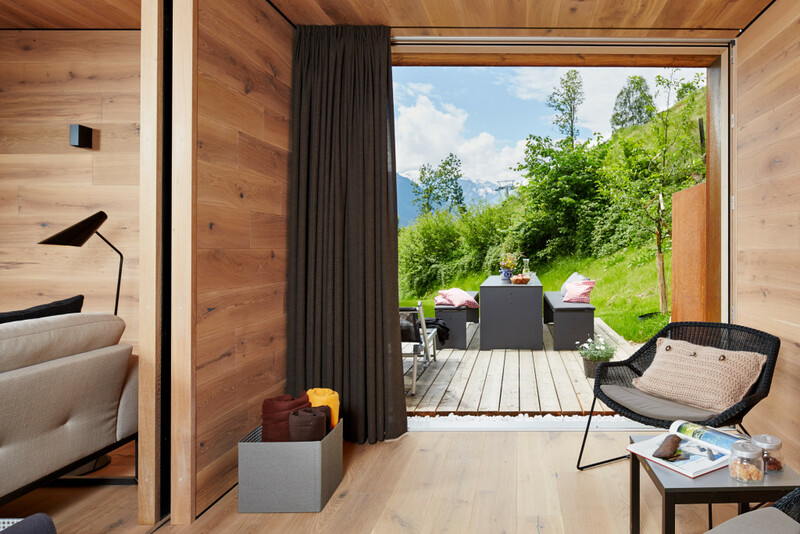 The floor-to-ceiling glazed window fronts and the sheltered terraces afford the most beautiful of views towards the mountains.